Bleak Midwinter is a page-turning mystery perfect for for a Christmas read, perfect for a mid-winter read, it’s even perfect to start in the middle of a hot summer day when you need to an intriguing story to help get your mind off of the heat. Here is a little taste of what makes this a great read for anytime of the year. It’s not every day you meet a female mortician, and especially one who’s strikingly beautiful. In Bleak Midwinter, the second book in the A Mary Christmas Mystery series, Mary finds herself at the center of a troubling double-homicide investigation while falling headlong into romance with police officer Lance Freeman. As Mary gets closer than ever to danger, she is aided by her dear friends, Silvia and David, who provide answers when she seems to need them most. But nothing is a bleak as it seems, even though Mary is forced to deal with an odd assortment of characters: the deceased’s grieving sister; a released convict who squats on the funeral home premises; a suspicious lawyer; and Rose Edgewater, her new secretary. SKU: BD70273. Category: Fiction. Tags: Christmas mystery, fiction, mortician, mystery, story. It’s not every day you meet a female mortician, and especially one who’s strikingly beautiful. In Bleak Midwinter, the second book in the A Mary Christmas Mystery series, Mary finds herself at the center of a troubling double-homicide investigation while falling headlong into romance with police officer Lance Freeman. As Mary gets closer than ever to danger, she is aided by her dear friends, Silvia and David, who provide answers when she seems to need them most. But nothing is a bleak as it seems, even though Mary is forced to deal with an odd assortment of characters: the deceased’s grieving sister; a released convict who squats on the funeral home premises; a suspicious lawyer; and Rose Edgewater, her new secretary. As Mary’s love affair with Lance deepens, so does her intrigue. Her intuition and investigation leads her to a brilliant conclusion in a dark alley…and to a stirring reunion with Lance. Being a funeral director and a coroner is rough business, especially during the Christmas season when love and light are in the air. But Mary takes us, once again, on a heart-warming adventure through the darkest days of death to a marvelous Yuletide discovery. 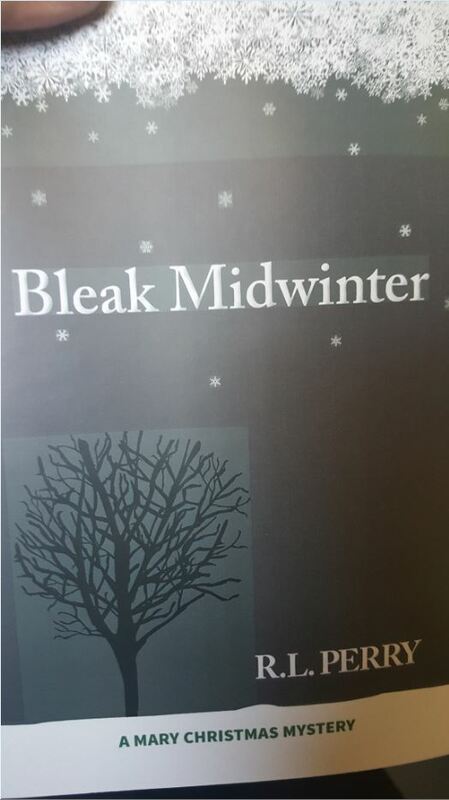 You will love Bleak Midwinter. It picks up where Slay Bells leaves off, continuing the A Mary Christmas Mystery series.